Joining us for our discussion on Changing Our World is Dr. Jeff Thompson. who is in La Crosse, WI. JEFF THOMPSON, MD, is executive advisor and chief executive officer emeritus at Gundersen Health System and a pediatrician, author, and speaker on building a mission-driven culture as a values-based leader. His experience in leadership is far-reaching, having led diverse teams, projects, and divisions before holding multiple senior executive roles, including fourteen years as a CEO. During Dr. Thompson’s tenure, Gundersen Health System has been recognized across the country by independent healthcare ratings organizations for high-quality patient care. It has also earned the highest honors of Healthgrades America’s 50 Best Award ™ for 2012 through 2016. Dr. Thompson was awarded the White House Champions of Change award in 2013. 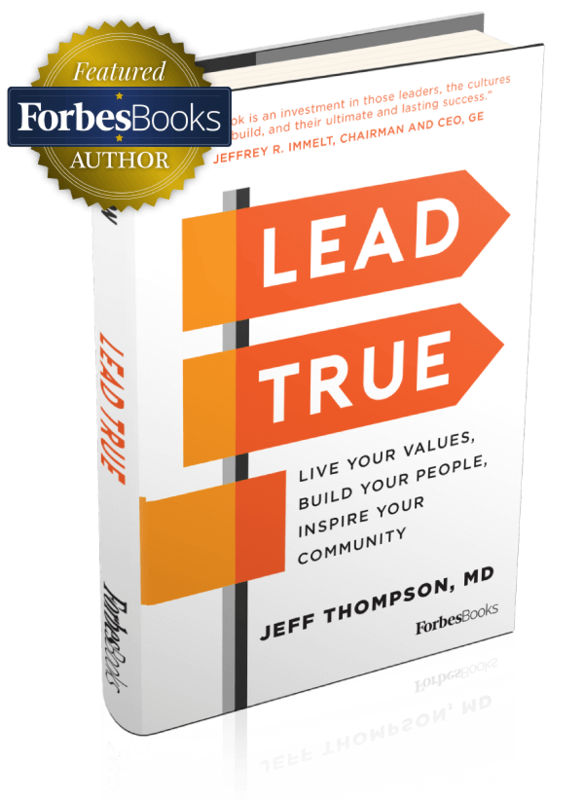 His new book is LEAD TRUE: Live Your Values, Build Your People, Inspire Your Community. Welcome to Mastering Your Money, Dr. Jeff Thompson.